Hi everyone,I am really happy that I was invited by Crystal to write a guest post on her awesome blog. My name is Rosemary and I blog at An Italian in my Kitchen. I was born and raised in Toronto, Canada where I also met my husband of over 20 years. A week after we were married I moved to a small town outside of Rome. Saying it was a big difference is such an understatement. I missed my family, friends, my job, my city, hockey, everything! But I carried on and I have come to consider my small part of Italy as my second home. I was also lucky to have a wonderful mother-in-law who taught me a lot of her amazing recipes and of course I always keep my eyes and ears open to friends and other members of the family for some special dishes. I have to admit I have picked up some good ones at my local supermarket too! And of course I now love to invent a few of my own. 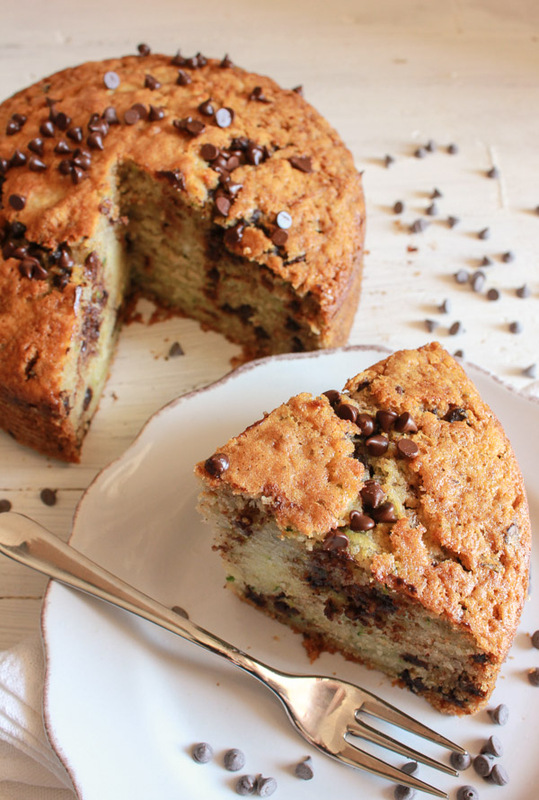 Today I would love to share with you a delicious Zucchini Cake filled with dark chocolate chips. I don’t know about you but I have zucchini coming out of my ears. I know a lot of people are not very impressed with this vegetable, but to tell you the truth I find it very versatile. I have been grilling, sauteeing and of course Baking Zucchini and they still continue to grow. This recipe has become one of my father-in-law’s favourites. My Italian in-laws were so surprised to taste zucchini as a dessert. 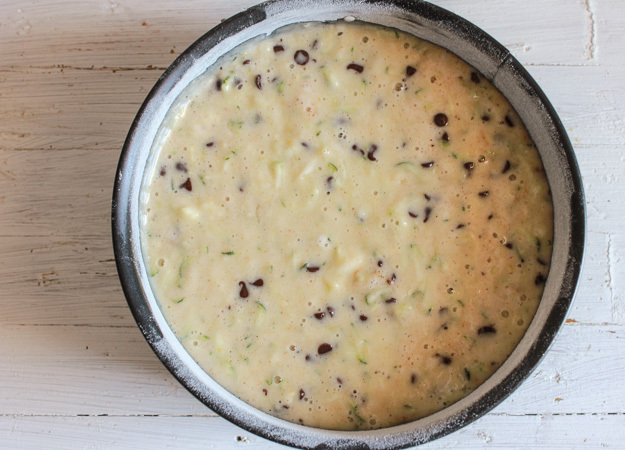 One thing about this Dark Chocolate Chip Zucchini Cake is that it is so quick and easy to make. 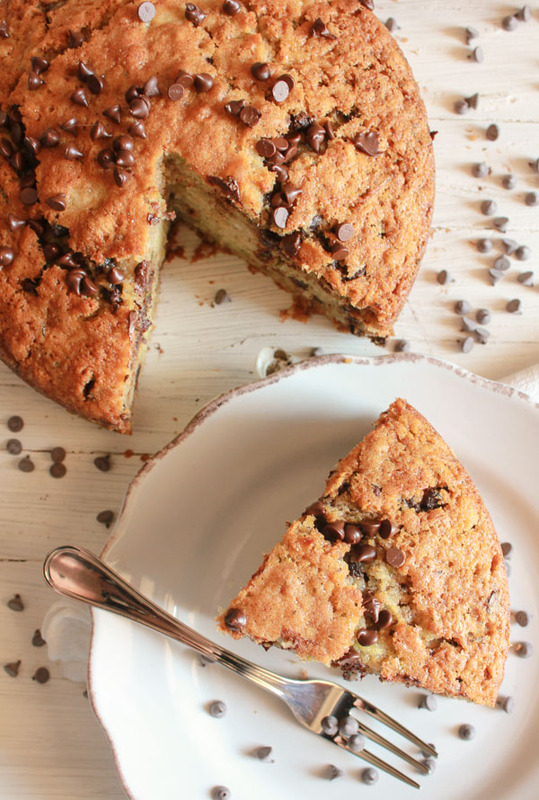 One of those all you need is a bowl, a wooden spoon and a cake pan and the result is one delicious moist cake, especially when you add some dark chocolate chips, in my opinion one of the best combinations. 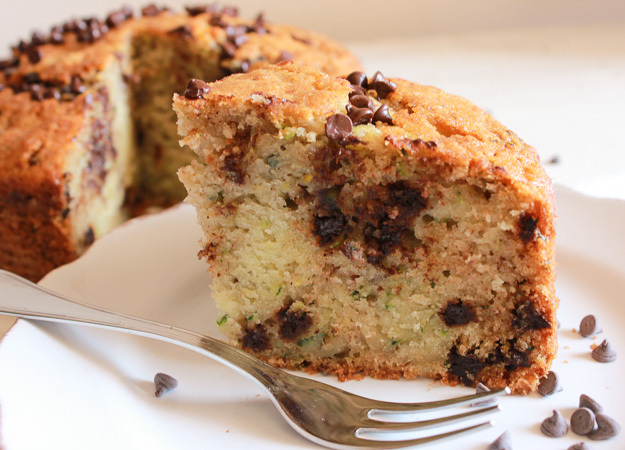 This cake will make you wish zucchini season never ended! Pre-heat oven to 350°. Lightly grease and flour an 8 inch cake pan. In a large bowl mix together sugar, zucchini, eggs and oil then add flour and combine, add the rest of the ingredients and combine until mixed, do not over mix. Place in prepared cake pan and bake for approximately 30-45 minutes or until toothpick comes out clean. Let cool completely before serving. Enjoy! If you enjoy Dark Chocolate Zucchini Cake, you may also enjoy a couple of other summer desserts. I’m so reluctant to try desserts with veggies in them. 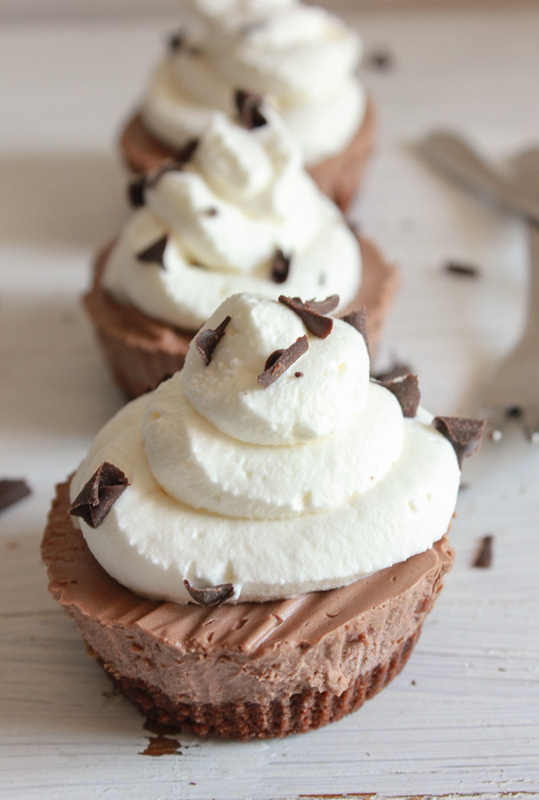 I think this is a perfect recipe to try out (you had me at chocolate chips!). Can you taste the zucchini in the recipe? Hi Xena, thank you, I would say that there isn’t really a strong zucchini taste. It is quite a nice mild flavour especially with the addition of chocolate chips! I hope you enjoy it. 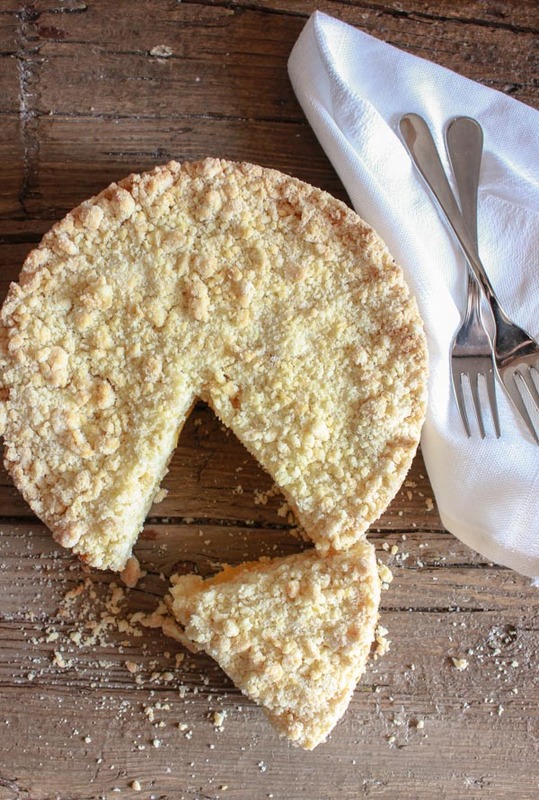 Can you replace the cake flour with something healthier like einkorn or coconut flour? Can you use coconut oil in place of vegetable oil? Hi Autumn, to tell the truth I have never made anything with coconut flour or oil so I really don’t know what the ratio would be. You might have to do some experimenting. if you do let me know how it comes out. Thanks. Have a great day.